Hot dog, it's another cozy snuggle sack crocheted in Bernat Blanket and Bernat Blanket Brights! Approx 30" [76 cm] wide x 50" [127 cm] long. 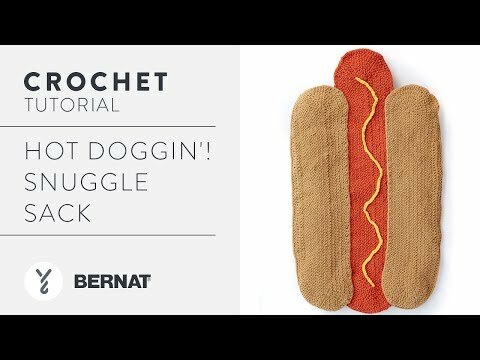 Customize your hot dog snuggle sack and get ready for a doggone good time! Your work begins with Bernat Blanket and Bernat Blanket Brights to finish a super cozy, chenille-style sac that's just waiting to be cuddled. Explore the stylish shades available and make a different one for any special child.